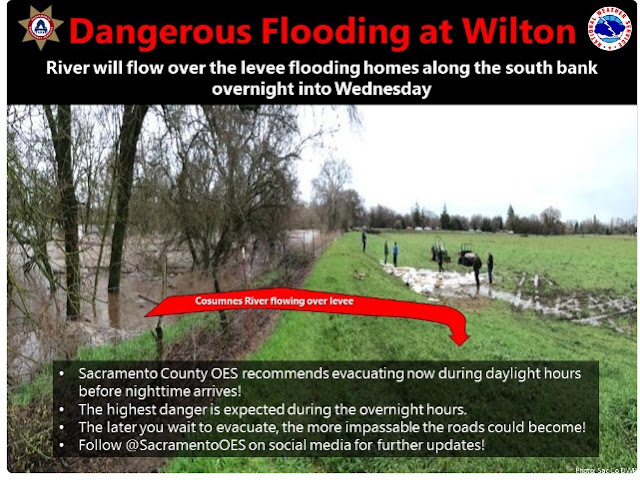 Below are three videos recorded this morning along Wilton Road over the Cosumnes River, the overflow area, and Laguna Creek by Sheldon Road in Elk Grove. The National Weather Service, Sacramento, is encouraging Wilton residents to evacuate as the Cosumnes River is expected to crest over night. As the picture above and the videos posted below show, water is starting to flow over levees.